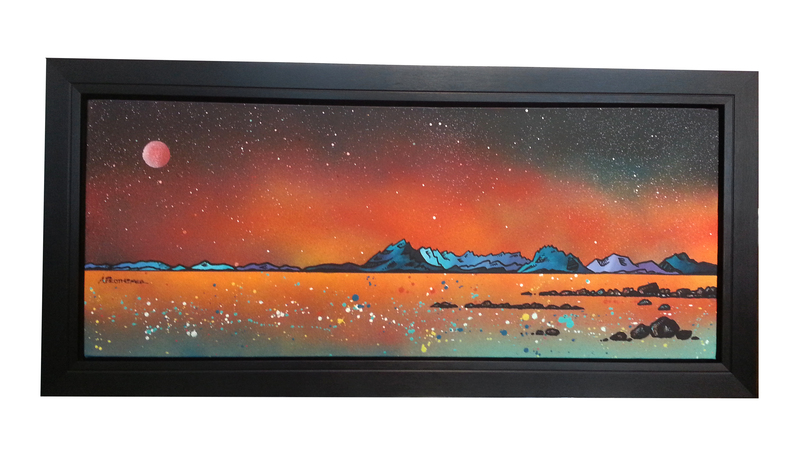 An original abstract, atmospheric seascape / landscape painting of glowing summer skyeline over The Isle of Skye, & The Cuillin from Elgol, Scottish Inner Hebrides. The painting continues around the deep edges of the canvas giving a very contemporary style and is framed with a black floating frame. Original painting & prints of, Skye from Elgol, Scotland.